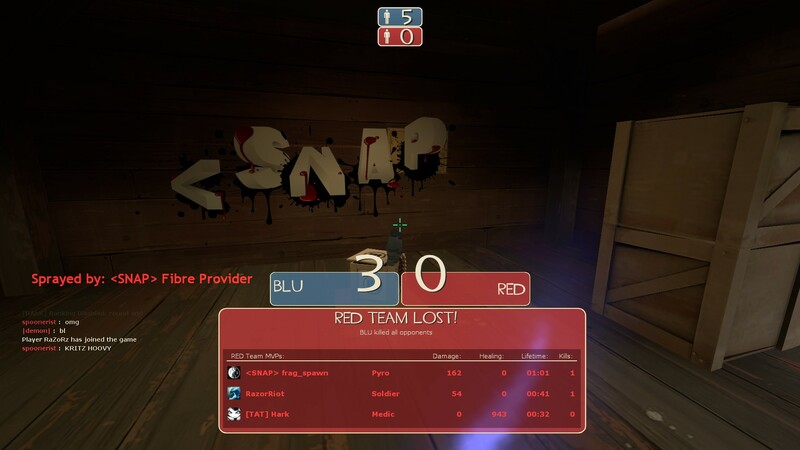 Posted by frag_spawn on 10 September 2011 @ 09:15 and filed under Competition, LAN, Team Fortress 2. You can follow any responses to this entry through the RSS 2.0 feed. You can leave a response, or trackback from your own site. 6 snappers were on last night and with some of us drunk, we all agreed to be in Nathan for LanSmash’s next event SpringSmash. Specifically to defend our honor of 2nd best in a 6v6 TF2 comp Sat Arvo. Those out-of-town snappers interested are welcome to crash at my place, and the usual post-smash glow LAN can be here on Sunday. So how many are coming and have we registered a team yet? Count me in for Soldier or Medic! Who can be the 6th? I’m thinking maybe we can co-ordinate sprays. 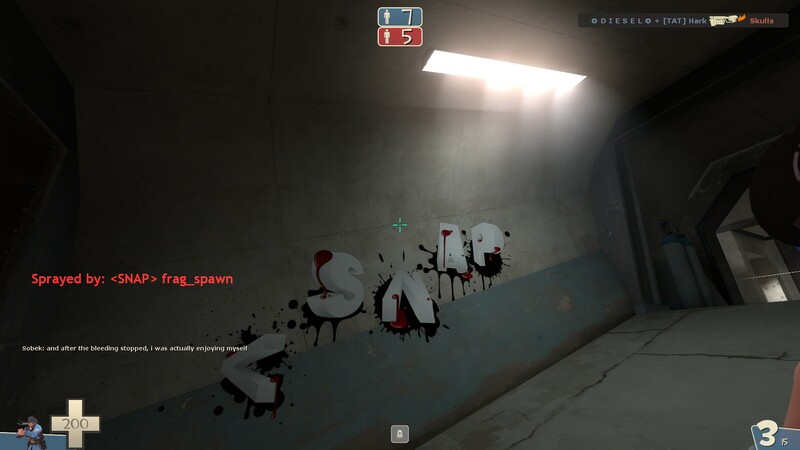 Here’s something I’ve been working on (comprised of 6 sprays). Grab ’em here and we’ll sort out who will spray what for Saturday later (Instructions here). Thank you gentlemen for helping to test it out. I thought they were turrets for a moment! So when are we aiming to turn up tomorrow.